You know what a momiform is right? The outfit you wear for comfort and practicality while chasing your kids around all day. About a year and a half ago, I got myself out of the whole yoga pants with a tee rut by sewing a few Alder Skirts and Trifecta Tees. I adore both of those patterns, but to be honest I was starting to feel like I was in another rut. 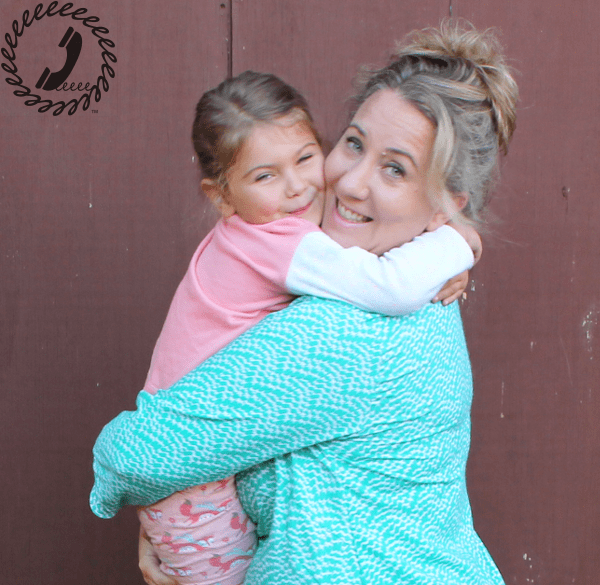 So over the past few months I’ve been trying to find the time to sew for myself a little more and happily, the opportunity came up to sew a Mom-iform makeover along with Lauren Dahl (from Baste + Gather) and a group of amazing bloggers. My first thoughts were about PANTS. I wear mostly skirts because fitting pants can be a nightmare. I pretty much can’t buy ready to wear these days as the fit is atrocious. If you follow on Instagram, you’ve seen all the muslining going on over the past few weeks. The pic above is one of the fit pics I posted. 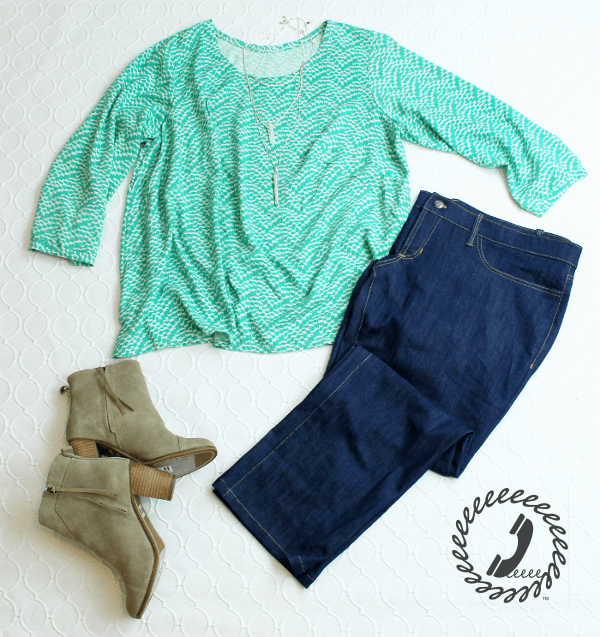 The pattern is the Clover Pants, generously donated by Colette Patterns. 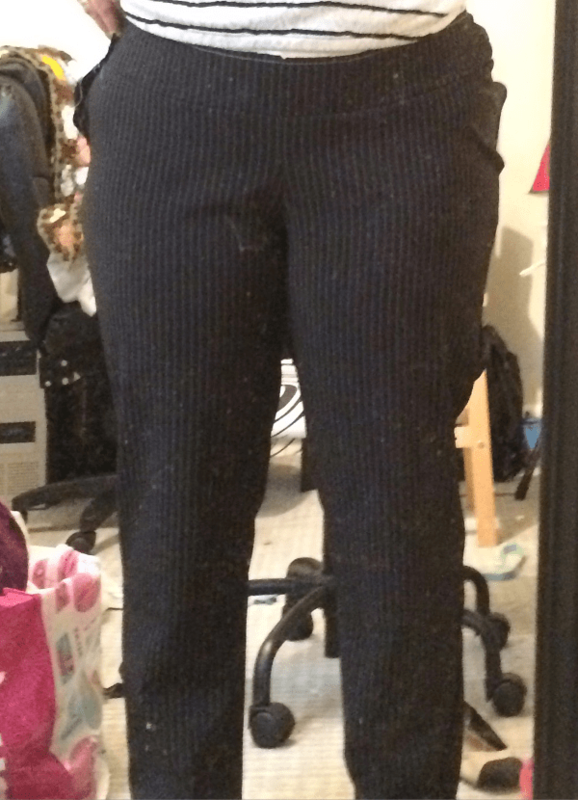 They are meant to be a slim fitting pant with a side zip, but I don’t love the slim leg style on my frame, so I’ve let them be a bit less fitted through the leg. This muslin fit great, but I still can’t decide where I want the hem to land, so I haven’t sewn the final version yet. 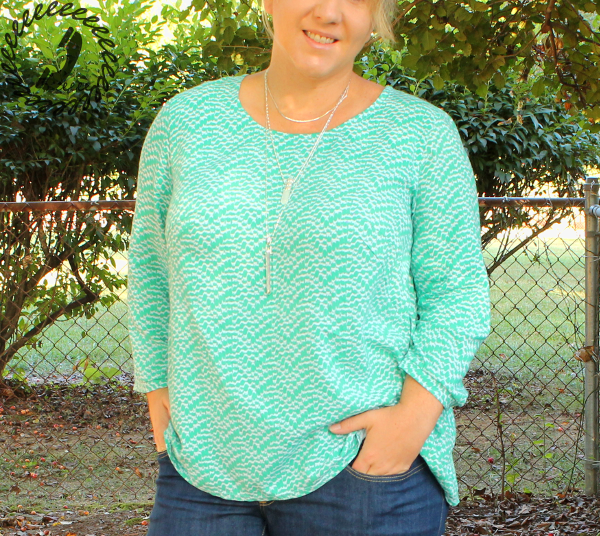 I’ll write a full review of the pattern once my navy sateen pair are finished. I’m sure you’ll see more fit pics over on Instagram in the next week or so if you want to follow along. 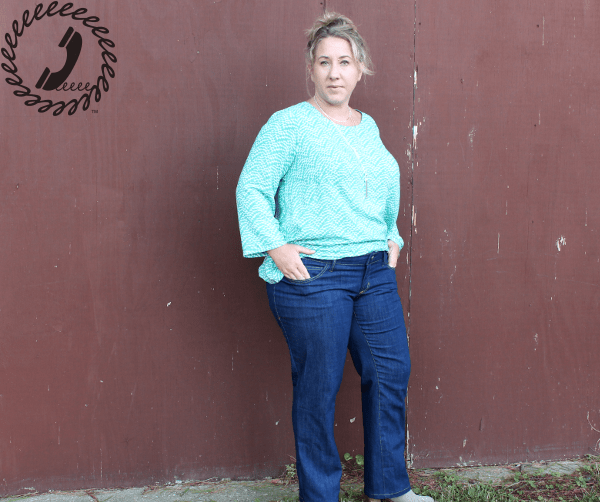 With the Clovers tabled for the moment, I focused on my last two pieces: the Scout Tee by Grainline Studios and the Ginger Jeans by Closet Case Patterns. Again, I’ll do a full review of both of these donated patterns in separate posts to give them their due, but for now I’ll say that both of these are a win. I am terrible at taking pics of myself so the details may not shine through, but in person I’m happy with how these pieces change up my wardrobe. The Scout Tee is a woven short sleeved t-shirt pattern. I took the original pattern, added two french darts at bust, and added long-ish sleeves to make it fit my frame a little better. Typically, if I wear a top like this it will sort of tent out around my waist/hip area, but adding the darts definitely helped with that. For my next one I’ll take in some more on the sides at the waist and slim/shorten the sleeves a bit, which should make it a little more flattering. Never fear though, this rayon challis from Imagine Gnats drapes really nicely so this top will still be worn a lot. The Ginger Jeans are also supposed to be slim fitting in the legs, but I made these a bit more of a boot cut. I’m really happy with the fit. This denim is a slightly stretchy denim from JoAnn Fabrics and I’m not sure how well it’ll hold up to a full day’s wear, but I’ll keep you posted. I have some nicer denim to make another pair, which I’m excited about. I didn’t have to do a bunch of muslins for the Gingers. The first muslin I made was wearable and then I jumped right into these ones. I did my standard lower the waist by 2″ in front and raise it the same amount in back, but that’s about it. 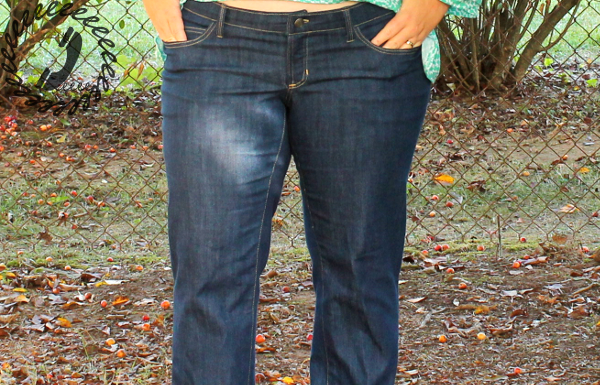 I’ll go into more detail on the adjustments I made in the dedicated Ginger Jeans post I’m writing. 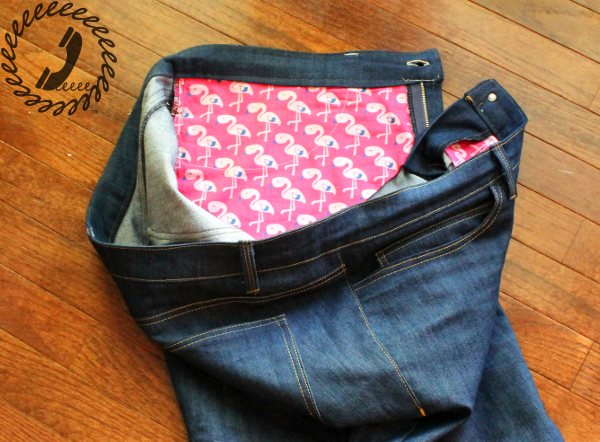 My favorite part of these jeans is the fun flamingo pocket stay fabric. It’s the little details like this that make wearing handmade clothes fun. Of course when I try to take pictures of Bean she wants nothing to do with it, but as soon as I try to take a couple of myself she starts freaking out that she HAS to be in front of the camera. In her pajamas, hehe.